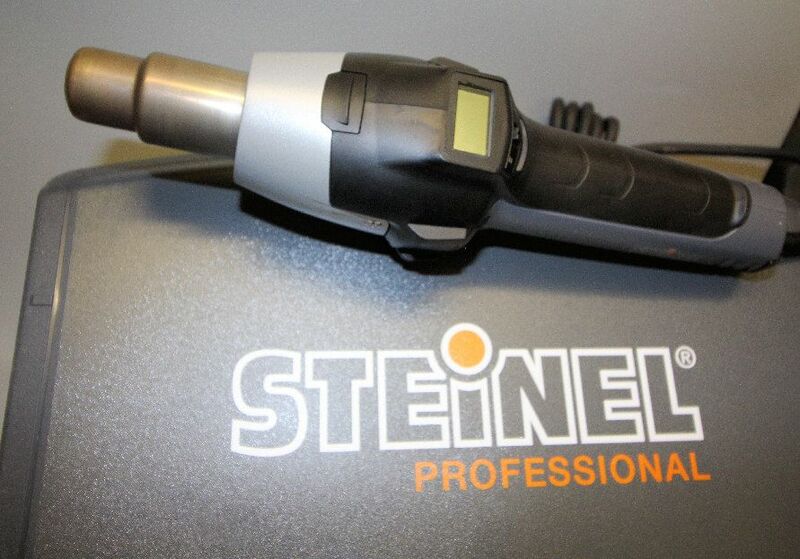 Steinel HG2620E Digital Welding Gun 110v RWS072 This vinyl Welding gun from Steinel has a digital LCD display, which you can control the heat from 50-700 degrees C.in 10degre steps. 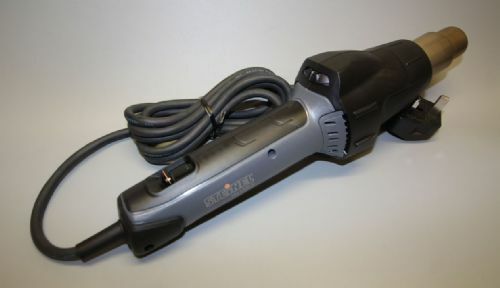 The gun comes with a residual heat indicator and an easy to replace power cord. It contains a powerful brush less motor which gives the tool a working life of over 10000 hours.The robust design has a fine dust filter to protect the electronics. This is a German designed tool made in Europe to very high standards. 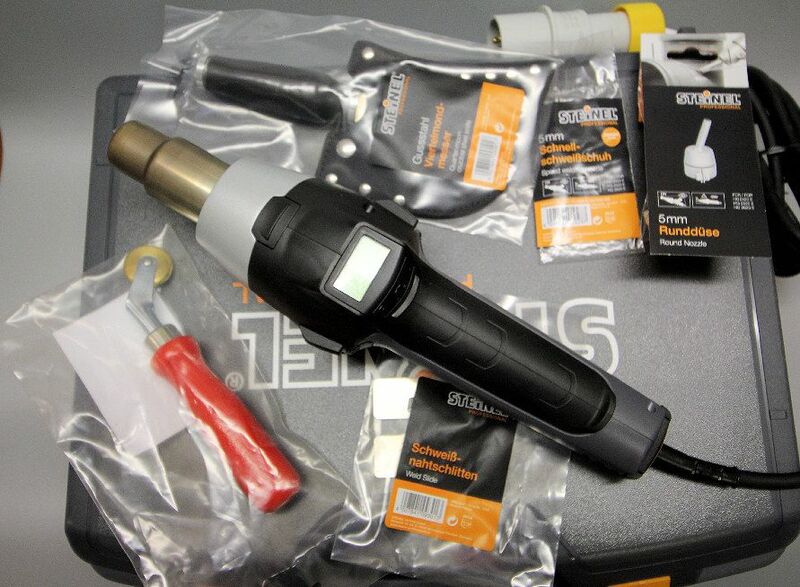 This kit comes with speed weld nozzle, round nozzle,brass pressure roller, quarter moon knife slide, as well as a replacement heater element.